For more than three decades, Dr. Grusky has made it his mission to educate and empower families to live healthier lives through chiropractic. 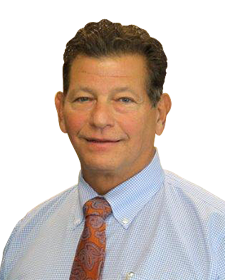 Dr. Grusky has accomplished this through a state-of-the-art chiropractic facility, his work as an accomplished author and serving 20 years as a team doctor for the University of Miami Hurricanes. Dr. Grusky received injections, wore a collar and took all of the recommended medications for a six-month period, but experienced no relief. I was a desperate person looking for help. Someone told me that maybe this chiropractor could help me. I figured I had nothing to lose and so I went. The chiropractor fixed me! Dr. Grusky found it intriguing that he got better without the use of prescription drugs. This dramatic turnaround in his health led him to seek a career in the chiropractic profession. He also acted as a professor of clinical pediatrics in the postgraduate division of Logan College for three years. In his spare time, Dr. Grusky loves scuba diving, snow skiing and having fun! He enjoys being the team chiropractor for the Hurricanes and supports the Make-A-Wish Foundation. 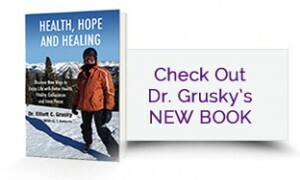 Dr. Grusky is also the author of “Health, Hope and Healing,” a book about his private experiences with chiropractic and the many benefits he’s observed in patients with a well-functioning nervous system. The book is available for sale in our office. Dr. Grusky would love to support you in your health goals! Contact us today for a convenient appointment! Great Doctor, listened to my ailments, I felt better after treatment. He showed me the X-rays and explained what's happening as we age. Will show my chiropractor back in South Dakota. Thanks for the treatment.